El propósito de este libro es ofrecer una guía de estudio y práctica para quienes acepten el reto y la responsabilidad servir a un pueblo que busca orientación y restauración. 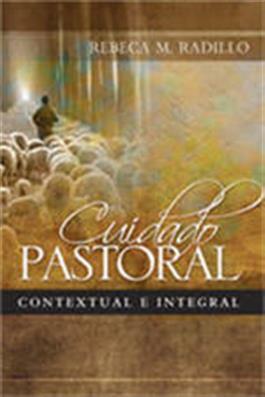 The thesis of this book is to emphasize the centrality of pastoral care throughout the life of the church. The foundation of pastoral care ministry is based on the bio/psycho/social/spiritual conceptual model which includes body, mind, society and spirit. All of these components are critical for the personal growth and formation of seminary students and for the practice of ministry. One of the major responsibilities of the church is to serve as a restorative community. In order for the church to be healthy and to fulfill its restorative role, its leadership must espouse a holistic theology, use its ability to think critically and focus on the bio/psycho/social/spiritual conceptual model as the foundation for its pastoral care ministry. The purpose of this book is to provide seminary students, laity and clergy with an instrument for thinking critically and for engaging in a process focused on internalizing the fundamentals necessary for pastoral formation and pastoral care in local church. Pastoral care ministry is vital for people who are committed to respond to the deep needs and hurts of people in the pew, as well as those outside the four walls of the church. This is a ministry for those people who want to grow and mature in their own faith, to understand and respond appropriately to the complexity of the human situation, and to hone their own skills in the practice of ministry.